The Beautification Fund was established in 1976 to allow the Garden Club Council to support beautification activities and projects. The Garden Club Council of Winston-Salem and Forsyth County actively seeks organizations that need funding for landscaping projects. These projects can be in neighborhoods, at schools and in other such public spaces. A request should be sent to the Council as outlined below. 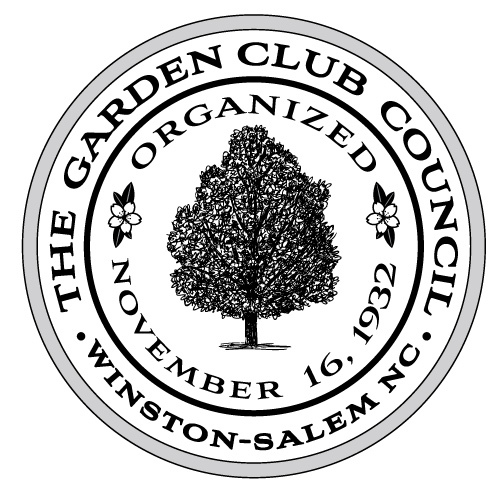 The Garden Club Council meets five times each year, in September, November, January, March and May. In order to schedule a meeting of the Beautification Committee, any request must be received at Headquarters by the first day of the month in which the Council meets. Therefore, grant requests must be received by September 1, November 1, January 1, March 1 or May 1. 2. Submit a complete document. In order to make a decision, we need a plan and the total amount of money needed for the project. The plans do not have to be detailed architectural drawings but the committee would like to see the framework of the project. We cannot approve any plan that does not have details of the plant materials to be used. Include variety of plants to be used, container sizes and costs per plant, number of plants of each variety and how these plants will be used in the project design. We are always concerned about maintenance issues. Tell us who will water and maintain the landscape area. 2. The Council will approve expenses for plant material only. We will not cover expenses for labor, mulch, decorative rocks, gardening tools, irrigation systems, garden furniture, water features, statuary or shipping charges. 3. We prefer that projects use our monies for perennials, trees and shrubbery. We have found that there is a constant request for annuals. Our funds are intended to be for the long term landscape, not for the year-in and year-out annual garden. 1. A request is sent to the chairman of Beautification. 3. If approved by the Beautification Committee, the request is then presented to the Executive Board of the Garden Club Council. 4. If approved by the Board, the request is presented to the full Council for approval. 5. The Beautification Chairman collects all invoices from suppliers and directs the Treasurer to pay only after plants have been received. 6. Grants are approved for a period of up to three years. At the end of the grant period, monies will revert to the Council funds.